One of the most straight-forward tests, which tests a drive’s sequential and random, Read/Write performance. Those numbers seem pretty close to the rated figures. 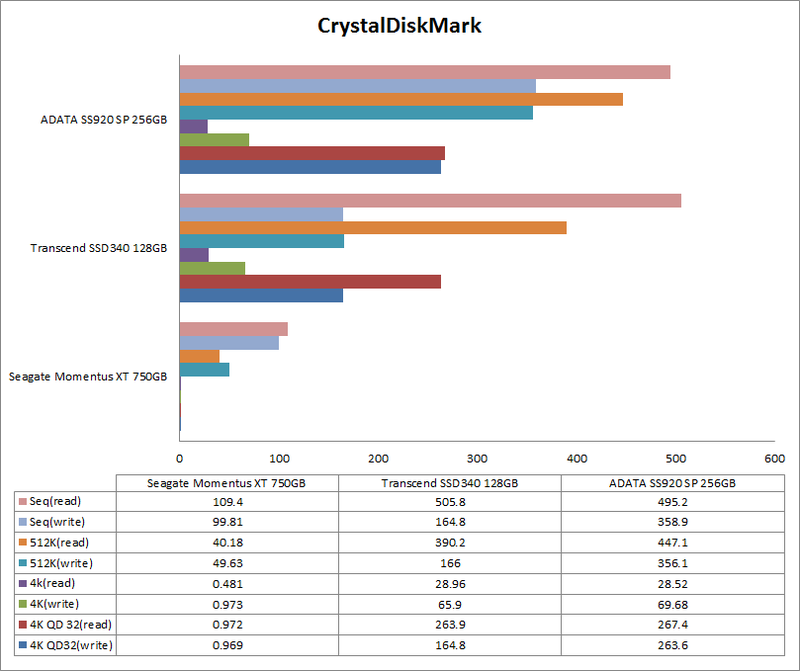 Compare to the other drives, there is no doubt the ADATA is the winner here. 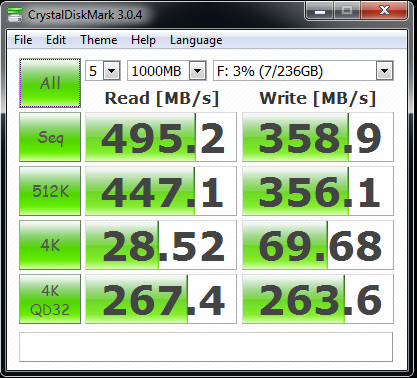 The Transcend SSD340 does match the ADATA in sequential reads but lags behind in the writes. Seq – Sequential reads and writes. Easiest for the drive as the drive does not need to get a new write position after every chunk is written. 512K – Random reads and writes with 512KB blocks of data. This is obviously more difficult as after every block is written, a new (random) write point is chosen. 4K – Same as above, but with 4KB blocks, this is much more difficult as the drive has to do more ‘seeks’. This is an indicative of worst case performance for any drive. 4K QD32 – Same as the 4K test, but with a queue depth of 32. This should increase the performance as it would benefit from controller’s I/O algorithms. In all cases, higher the numbers, the better.